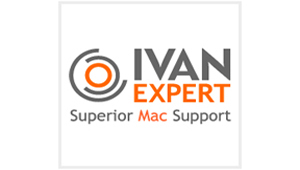 Ivanexpert, led by an Apple native, Ivan Drucker, typifies the best in NYC Mac support. The small, local MAC specializes in everything Apple. IvanExpert provides superior Mac, iPhone, iPad, and iPod support for small businesses and home users in New York City. That is known today to the company’s hundreds of loyal local customers. However, back in 2008, Ivanexpert was having trouble associating its brand and online presence with their high quality of work. This is where Agent-cy stepped in. Read below for how the Agent-cy team helped this local MAC consulting team develop and grow a solid online brand to where they stand today, with strong local followers on their site and in social media as well as an active contributing expert to their industry media.